Below Maximum Depth if the Node Head is below or equal to the Node Invert + Full Depth. 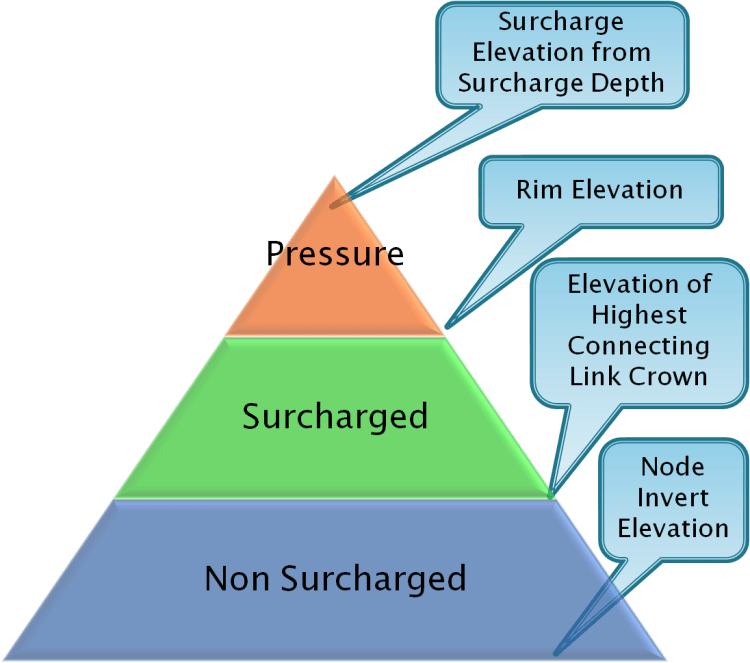 The column Max Surcharge Height above Crown will also tell you how deep the Surcharge in a Node. Surchaged if none of the above is true.